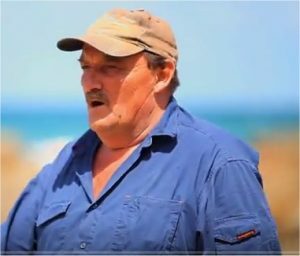 In the local Aboriginal language, ‘bimbi’ means ‘a place of many birds’. Bimbipark is alive with bird song all year round. Please let us know if you see any birds not on this list. Also please email us any photo’s you may have so we can put them on our web site. Horse rides at Bimbi Park cater for all ages and levels of ability. Rides are carefully graded, there are experienced horses, qualified instructors, safe trails and approved safety helmets. The sandy soil of the region makes for good riding even after rain. Our play ground suits all ages. At Bimbi park there are lots for the children to do. Bimbi Park has it own wood fire pizza oven, ask us when Frank will be making his fabulous pizzas again. Spray a large bowl with some oil and put the dough in it. Cover with a clean towel and let sit in a warm spot (not in the sun or on the heater). (I don’t use pizza trays as I cook them the traditional way – in the wood fired oven on the stone). Oil the tray and let it sit for about ½ an hour. Put sauce cheese and anything else you want. Remember less is more. Traditional Italian Pizzas don’t have a lot of ingredients on them. Experience the Great Ocean Walk from the heart of Cape Otway, local advice, good beds, hot showers, proper meals and even a cool wine or cold beer, no carrying of supplies, tents or sleeping bags, just a day pack. 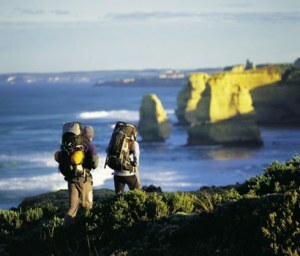 Let us help you experience the Great Ocean Walk. 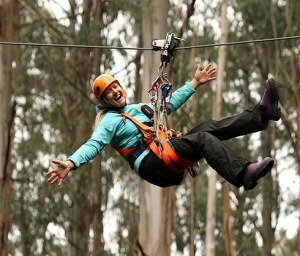 Otway Fly Treetop Adventures offers a whole host of experiences with the two core activities being The TreetopWalk & The Zipline Tour.The Treetop Walk is a 1 hour rainforest walk experience that is approx 2km in total and features a 600mt long and 30mt high steel structured treetop canopy walkway that takes you right into the treetops. It’s the longest and tallest walkway of its type in the world and includes a thrilling cantilever. Be taken back 200 years to the time of colonization and beyond, while visiting Cape Otway’s rugged and spectacular coastline. Mark Brack was born and bred in the Otways. For a range of other attractions in the region click on the button below.